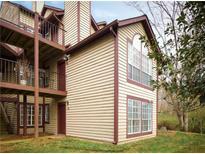 Near Avalon, Restaurants, Schools, Close To Ga-400 And Big Creek Greenway. MLS#6515295. Solid Source Realty Ga, Llc..
Low Hoa- Swim/Tennis.Carefree Living - Do Not Delay! MLS#6122725. Keller Williams North Atlanta. Short Walk To Shops, Restaurants, And Conveniently Located Between Ga 400 And Peachtree Industrial. MLS#6517021. Atlanta Communities. Haydens Walk - Easy Access To Shops, Dining, Parks & Chattahoochee River. MLS#8539969. Keller Williams Realty Consult. Fully Finished Terrace Level, Full Bath, Bonus Room, Separate Foyer, And Private Covered Patio. Expansive Two Car Garage MLS#6515006. Keller Williams Rlty, First Atlanta. Still Under Builder'S Original Warranty. Hurry! This Won'T Last. MLS#6515502. Solid Source Realty Ga, Llc..
Rivermont - Walking Distance To Park Across The Street! New Roof! MLS#6515077. Re/Max Paramount Properties. You Won'T Be Disappointed. 6 Homes Remaining MLS#6514346. Engel & Volkers Atlanta. You Won'T Be Disappointed. 6 Homes Remaining MLS#6514352. Engel & Volkers Atlanta. You Won'T Be Disappointed. 6 Homes Remaining MLS#6514359. Engel & Volkers Atlanta. Main Hvac Replaced 2 Years Ago. MLS#8537459. Mark Spain Real Estate. Rivermont Colony - Home Comes With A 30-Day Buyback Guarantee. Terms And Conditions Apply. MLS#6510319. Opendoor Brokerage, Llc. Enclave At Milton Park - Newer Paint, New Carpet, Granite Countertops, Hardwoods, Fireplace, Master With Sitting Room/Office/Den, Lots Of Storage Space And Less Than 1 Mile To Ga 400, The Avalon, Close To Shopping, Restaurants, Award Winning Schools And The Big Creek Greenway. Hurry!! ! MLS#6514174. Bhgre Metro Brokers. Sophisticated Elegance Adorns This 4 Sided Brick, 4 Bedroom 3.5 Bath Academy Park Townhome Located W/I Walking Distance Of The Avalon.From The Hardwood Floors, Wrought Iron Rails And Extensive Crown Molding To The Interior Columns And Updated Decorator Light Fixtures,This Home Is Oozing With Quality That Could Only Be Expected From A John Weiland Home.No Detail Has Been Overlooked;Stainless Steel Appliances, Granite Counters,Plantation Shutters, New Paint,Oversized Master With His/Hers Closets, And A 4Th Bedroom That Would Make A Perfect Media/Theatre Room! MLS#6512857. Solid Source Realty Ga, Llc.. This Unit Is Permitted For A Lease. MLS#6510960. Lullwater Realty, Inc..
Home Comes With A 30-Day Buyback Guarantee. Terms And Conditions Apply. MLS#6510316. Opendoor Brokerage, Llc. Spectacular Teasley Park Amenity Offers 1/2 Acre+ Of Outdoor Living Including Dog Walk. All Photos From Similar Unit. MLS#6511854. Keller Williams Realty Atl Perimeter. Spectacular Teasley Park Amenity Offers 1/2 Acre+ Of Outdoor Living Including Dog Walk. All Photos From Similar Unit. MLS#6511876. Keller Williams Realty Atl Perimeter. Rivermont - Tastefully Finished Basement Entertaining Room With Cedar Wood Walls, Wet Bar And 0.5 Bath. Window-Panes Recently Replaced. MLS#8534057. Atl1 Realty Llc. 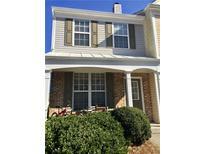 Bishop Gate - Great Location, Close To Shopping, Restaurants, Movies And Just Minutes From Ga400! MLS#6512166. Berkshire Hathaway Homeservices Georgia Properties. White Painted Brick/Siding Exteriors W/Cedar Accents. Home Due Summer '19. MLS#6511286. The Providence Group Realty, Llc..
Merrimont - Don'T Miss This Chance. Must See Listing!! ! MLS#6511488. Trustus Realty, Inc.. The Charming Courtyard Is Perfect For Dining Alfresco Or Intimate Living Space. MLS#6511714. Berkshire Hathaway Homeservices Georgia Properties. You Can Also Enjoy The Privacy Of The Backyard On The Newly Constructed Patio Without All Of The Maintenance! Make An Appointment Today! MLS#6511253. Keller Williams Realty Chattahoochee North, Llc.